12-piece pencil set. 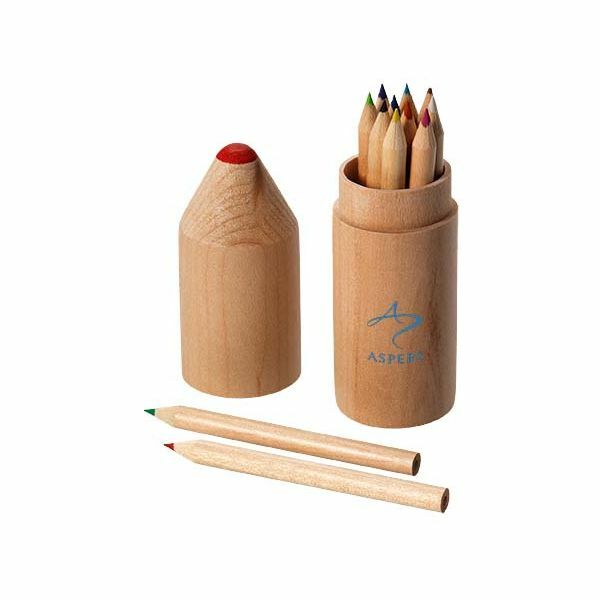 12 coloured pencils in wooden cylinder pencil-shaped box. Decoration not available on components. Wood.